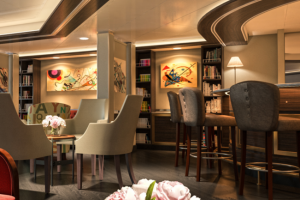 Silversea has launched a partnership with literary institution Heywood Hill, which will create a bespoke library for its new flagship, Silver Muse. Over its 80-year history, the London-based bookshop has become renowned for curating collections of new, old and antiquarian books for private libraries. Marked by old-fashioned courtesy and humour, Heywood Hill’s literary services have been awarded the Royal Warrant by Her Majesty the Queen, among other accolades. 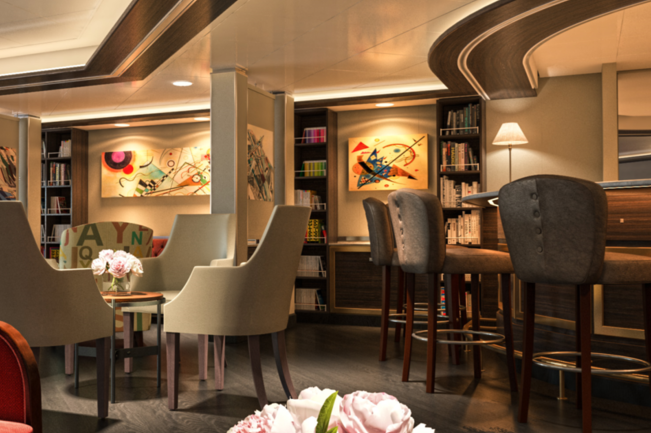 The bespoke library will be housed within Silver Muse’s all new Arts Café on deck 8. Hosting varied and constantly evolving exhibitions, the Arts Café will also showcase paintings and sculptures from a range of artisans from around the world. Heywood Hill will also select books to be placed in some of Silver Muse’s top suites. Arts Café is one of several new public spaces on Silver Muse, which launches next month, calling at 34 countries and 130 ports in 2017 alone. The addition of Muse will expand Silversea’s fleet to nine ships.